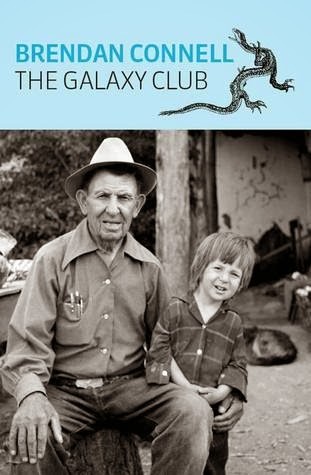 Brendan Connell, The Galaxy Club. Chômu Press, 2014. Pp. 202. ISBN 978-1-907681-25-7. £10.00. The latest short novel by inventive and experimental fantasy author Connell, published by the rather wonderful, weird Chômu Press, is typically hard to categorize. Billed as “noir” in the press pack, the book does indeed involve downbeat, not terribly sympathetic characters in various degrees of chronic struggle or desperation and whose conflict in the story is between letting their lives get even worse or scrabbling to hold on with their fingernails for another day, set in a mid-twentieth century American locale. But on the other hand it is also a road novel, with hitchhikers, car chases, lonely towns to pass through and creepy strangers to pass through them, and even elements of the beatnik, with trippy images, multiple characters popping legal or illegal drugs and drinking excessively, and a sense of reality that verges between magical realist and mythological. Above all these, it boasts unmistakably literary features, including unreliable narrators, multiple irrational and inanimate points-of-view, language deployed to disorient the reader, character and imagery overriding plot, and an unclear, barely satisfying dénouement. Rhys Hughes, More Than a Feline: Cat Tales and Poems. Gloomy Seahorse Press, 2013. ISBN 978-1-291-61927-0. £3.99/£4.99. 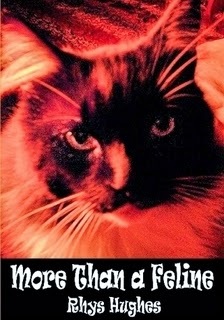 Touted as “an illustrated volume of cat stories and poems by cult author Rhys Hughes written over the past two decades and collected together for the very first time,” More Than a Feline is a sometimes irreverent, mostly fun book about cats. If you really like cats and have a generous sense of humour, then you will probably enjoy at least a few of the stories in this short collection (27 stories and poems, totalling 103 pages). I had brought More Than a Feline along with me while attending a conference in Orlando, Florida. The home-spun image on the front cover and a quick skim of its contents told me that this is the kind of book best meant for vacation reading. Stephen Jones (ed. ), Psycho Mania. Skyhorse Publishing, 2013. 978-1-628-73816-2. $14.95. The shadow behind the shower curtain. The figure in the alley. The face behind the mask. The psycho, or homicidal maniac, has been a staple of horror ever since it awakened as a genre. From Norman Bates to Michael Myers and all of their ilk, the “psycho killer” has become one of horror’s most popular tropes. 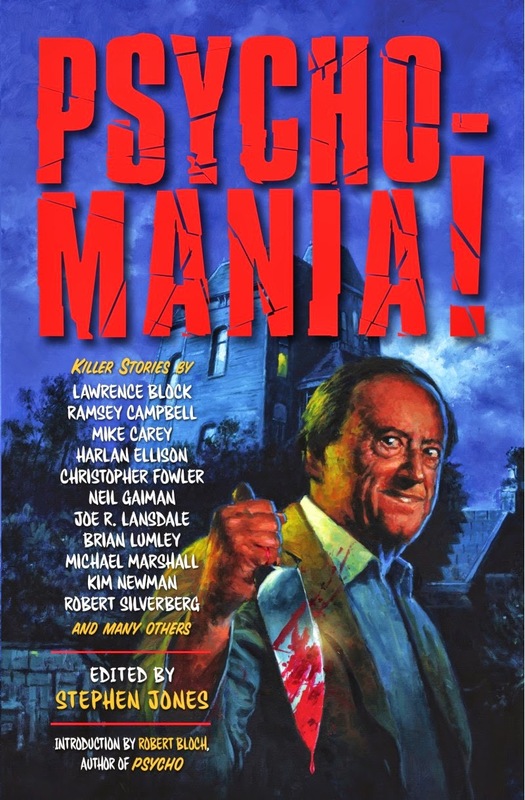 Add one of horror literature’s most celebrated editors and some of its most popular authors (including the original author of Psycho, Robert Bloch) to the mix, and it seems like a match made in heaven. So, does the book live up to the hype? Peter Tieryas Liu, Bald New World. Perfect Edge, 2014. Pp. 229. ISBN 978-1-7827-9508-7. $16.95. Opening this treasure of a book up, and you are dropped into a decidedly dystopian future, where an unknown global event leaves the entire human population without hair; not even lashes or eyebrows are spared. Overnight the world descends into confusion, recrimination, panic and violence; Liu’s vision is of a futuristic civilisation living on a thin knife-edge of sanity, now fallen into bleak selfishness and depravity. Our guide is Nick, a Chinese-American from a painfully, gods-awful childhood, who yet has grown up into a thoughtful and feeling narrator, hidden behind what could be construed as an instinctive frontage of unengaged existence. When wearing the best type of wig comes with an elevated sense of social position, the lack of hair, the rendering of the bald self, naked and exposed, has sent humanity scuttling to hide behind a million constructed images. 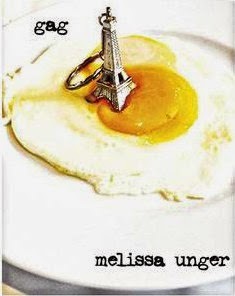 Melissa Unger, Gag. Roundfire Books, 2014. Pp. 150. ISBN 978-1-78279-564-3. $13.95/£7.99. This is, effectively, a story of two halves. In the first, we meet Peter, a rich New York drifter, who one day stopped eating and has managed to get along perfectly healthily for fifteen years. Having finally decided to try again, he travels to Paris, as a centre of gourmand delights, to tempt his body back into eating. On the plane he meets Dallas, a hugely fat Southern state gentleman, and then bumps into him again, singing in a queerly feminine voice at a seedy night club. Now for part two: Dallas, knocked down in a hit-and-run, is revealed in hospital to be Claire. Recuperating from her injuries, Claire joins Peter in his apartment, and from here we plunge into an emotional drama as two dysfunctional people try to grasp a sense of normalcy and meaning from the very people that know least about it: each other. 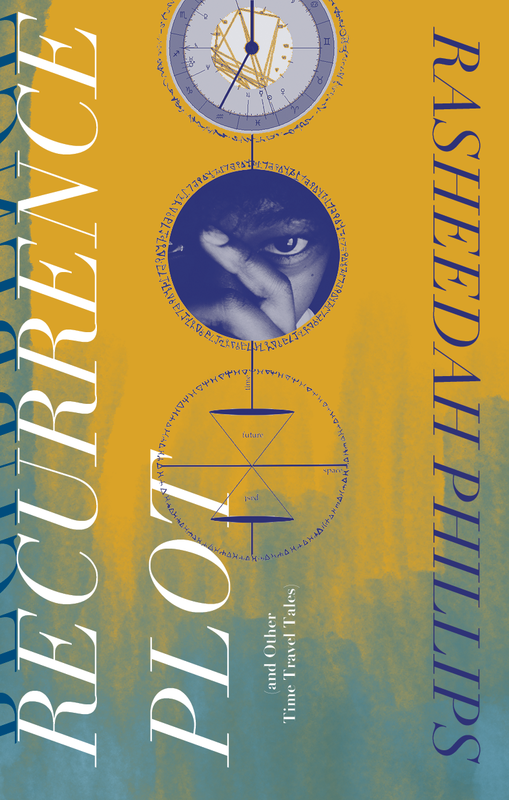 Rasheedah Phillips, Recurrence Plot (and Other Time Travel Tales). The AfroFuturist Affair/House of Future Sciences Books, 2014. Pp. 230. ISBN 978-0-9960050-0-5. $12.95. Recurrence Plot achieves the delightful symmetry of being a novel about experiencing time out of sequence, with a main character who has faulty memory and incomplete information, and about the discovery and reading of a self-published, postmodern, pseudoscientific, multimedia and multi-genre, portmanteau book, which is told out of sequence, leaving the reader confused and with incomplete information, and in a portmanteau, postmodern and pseudoscientific style. The novel (or mish-mash of related stories, whichever it is) really wants to be interactive fiction, and is slightly unsatisfactory for not quite embracing the possibilities of that medium, but is nevertheless an impressive debut and first installment in what promises to be an interesting ongoing series.